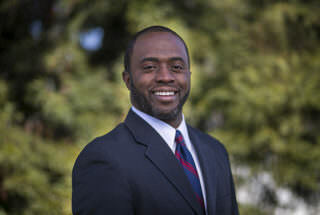 Tony Thurmond is one of four candidates running for state Superintendent of Public Instruction. Thurmond, 49 and a Democrat, is in his second term representing Richmond in the state Assembly. He was born at Ford Ord in Monterey. After his mother, a Panamanian immigrant, died when he was 6 years old, he was raised in Philadelphia by a cousin. He graduated from Temple University and received dual master’s degrees in law and social policy and social work from Bryn Mawr College. Thurmond served on the Richmond City Council from 2005 to 2008 and the West Contra Costa Unified school board from 2008 to 2012. LA School Report talked with Thurmond about high-quality as well as underperforming schools, the California dashboard, parent engagement, and more. The interview has been lightly edited. How would you define a high-quality school, and what was high quality about your own education? I’ll take the second part of that. What was high-quality of my own education is that teachers provided me with rigor and support. Even though I was a student who had to overcome a lot of humble beginnings, I think it was that support and high expectations that helped me to be a successful student. You know, my background, I grew up in a low-income household. My mother was an immigrant from Panama. My dad was a Vietnam vet, who I never met until I was almost 40 years old when I found him on the internet. We bounced around a lot. I lost my mom to cancer when I was 6, so I moved from the Bay area to Philadelphia, and easily could have fallen through the cracks. I didn’t because I was really in a public school system that really supported me and teachers who hung in there with me when I needed support or needed more help or enrichment. You know, they had the patience to provide that for me. Again, the bar was set high, and fortunately with the support of teachers and family and mentors I was successful. I think for high-performing schools, we need to have well-prepared teachers who are well trained. I’m deeply concerned about our current teacher shortage. You know, I’m concerned that many school districts have this teacher churn, where they’re just churning teachers, turning over teachers. For example, in the school district where my kids attend, there has been turnover for four straight years of 200 teachers. That, to me, you can’t close the achievement gap if you don’t have consistency and good training when you’re building a strong program with great teachers and administrators working together with a vision for what materials we’re using, what’s our theme, what’s our approach. So, for those reasons, I’ve introduced, because of current teacher concerns, I’ve introduced bills that will provide scholarships to anyone who wants to become a teacher, and also a teacher housing bill recognizing that some districts, including the one where I live, the number one reason that those 200 teachers leave the district every year is they can’t afford to live where they work. So, trying to look for creative approaches to address those shortages. I think that high-performing schools challenge our students to be critical thinkers and to have an eye towards the future. I think that there are huge opportunities for us here, but we’ve got to start earlier with more early education and more preschool, you know, recognizing that the achievement gap starts before elementary school. We’ve got to invest in more preschool. I think we’ve got to do more to prepare our kids for the jobs of tomorrow in technology. I’ve introduced a package of bills that provides more funding for STEM and computer science education and professional development for educators who want to work in technology, as well as more career technical education. I think we’ve got to do more around bilingual education and dual language instruction and giving our students the opportunity to be global leaders of tomorrow. I think high-performing schools have high levels of parent involvement, and schools that engage parents and families, that see them as partners not as a challenge or as a threat, but recognize that when parents and families are involved in schools students are successful. We want whole families being involved. We want to make our schools welcoming, we want to provide resources for our families, we want to provide support for our students and their families. Parents by and large become important volunteers and contributors to what happens in the school fabric, and we should be asking our students for their input. You know, I’ve created student commissions, youth commissions, when I was a school board member, that informed board members on policies from a youth perspective. I got a bill passed last year that the governor signed, AB 261, that creates a student school board member for every school board in the state. I believe that strong school districts listen to their constituents, their students, and their parents. I think it takes all of us together to create these strong schools, but I’m committed to helping to support that throughout the 58 counties in our state and the hundreds of districts throughout our state. Your mother and then your guardians after her, were they able to make choices about where you were educated? What choices did they have? Initially, no. You know, we lived in San Jose. My mom settled in San Jose. We lived there till I was 6 years old. When my mom passed away, I moved to Philadelphia into a working-class neighborhood that had some good and some not so good, overall decent school. My cousin who raised me opted into a program that would allow me to be bussed across town, was considered an academic plus school, basically like a magnet school. It clearly was a school that seemed to have better overall performance. I attended that school. I basically was bussed for more than half of my school education. So, I would say that there were some choices, but you’ve got to remember my family — my cousin and my mom, they were the first in the family to go to college. So, I watched my cousin work as a nurse’s aide and go to night school at community college and really struggle. She really was helping to impart to me that any more education would help to improve my life. I think it was that message and that belief that education could help that helped me to be able to overcome the humble beginnings. I mean, we were on every program you can think of. We were on food stamps, government … My entire neighborhood was free and reduced lunch program, and I continued to be on that program throughout my high school career. So, I believe it’s the combination of quality teachers, belief in education, help from mentors, and public programs that in my case allowed me to get a great education and improve my life. The California School Dashboard: Did you understand it at first glance? How long did it take you to figure it out? Did you need help? Honestly, I would say that I understood it when I first read it. But someone posed a question to me that I think is fair. They said, “Have you tried actually applying it to a school to see how it ranks in comparison of the schools?” The person who asked me the question was critical. I think it’s a fair criticism. So, I’ll just tell you the good and the bad. I think overall I like what the dashboard means and represents, sort of aspirationally, to say that students are more than test scores. We look at everything. We look at what’s happening on campuses. We look at attendance. We look at English language learners performance. We look at graduation rates. We look at all of these things to get a sense for what the whole fabric of the school community is. We look at parent engagement. I like that. But as his criticism came to me, it dawned on me that as a tool, it’s probably not as easy as possible to just look at a bottom like sort of sense of where does the school rank, how does the school perform. I think that’s fair, and I think that there are opportunities to adjust and tweak the dashboard to make it user-friendly. Quite frankly, if it’s not family friendly and user-friendly to all the consumers — you know, families and students and those who are evaluating our educational system — then it needs to be adjusted and improved. I’d be open to working with educational stakeholders and family groups and parents groups and educators to figure out ways to tweak it and to adjust it. Student achievement in the state is flat or worse for many groups of underserved students. What would you undo at the state level, and what would you do differently that hasn’t already been tried? Well, I do think it has been flat. I think there are some bright spots. I think we have to work with districts that have had improvements, and lift up the best practices that have been helpful, and to give great examples. Actually, I’ve been using this campaign to do that, I convened a roundtable discussion on the achievement gap and invited districts to come share best practices to work to study. I think we have to do a better job of interpreting the data. Why has the gap persisted? Many districts are trying things and have for years, but yet the gap persists. So, I do think we need to spend some time interpreting the reasons why and behind the data and use that new data to inform or replace some of our strategies and to refocus them as practices. In the legislature, I have supported providing more money from the Department of Education, provide more direct consultation to districts on how to sharpen their plans to close the achievement gap. Those dollars are just now getting out, and I would continue to support programs like that and then how we work with our districts. This year we’re working on a proposal in the legislature to provide more dollars to districts to address differential assistance to support our students the lowest-performing students as well as students with special needs. I would continue to work to expand those types of programs from the state to our local districts. I think we’ve got to do more around early education. I think that’s always been important to helping to prevent the achievement gap and to close the achievement gap. I think we’ve got to work on literacy. I think we need a major campaign on literacy. I think we also need to use intervention programs like the Freedom School program, which helps students increase their reading grade level in just a few weeks. I think we’ve got to do a lot around intervention and do a lot more around prevention. I’m very concerned about how the achievement gap and many other conditions in our schools almost spells the school to prison pipeline, and that we invest more in prisons than we do in early education. For those reasons, I’ve introduced a bill that puts a tax on private prisons in this state to generate more money for preschool programs. I think we’ve got to do more to close the absenteeism gap in our state. We have many districts that see a very high rate of absenteeisms, sometimes as high as 10 percent missed school time for students or more. This has a huge effect on our kids and on kids’ abilities to learn to read. Many of these are students who are in grades kindergarten through third grade. We all know if you don’t learn to read by third grade, that’s a key benchmark, and that means you’re learning to read and you’re reading to learn. If we haven’t developed that skill by third grade, we know that kids are more likely to drop out and end up in the criminal justice system. So, I would accelerate programs from the department that focus on how we reduce chronic absenteeism so that we’re helping students individually achieve important benchmarks like learning to read, and through actually generating more revenue for our schools by reducing the lost revenue from attendance. The governor signed one of my bills that this past year gave $35 million to address chronic absenteeism, including LA Unified. LA Unified received a grant of $1.7 million from my bill to provide more resources. Then I would just say this. I think at the Department of Education we have to listen to our constituents, our districts, our students, our families. I think they’re asking for help. For me, I see serving as superintendent as a way to help marshal resources to help districts. You know, with us being 46th in the nation for pupil spending, I think we’ve got to change that narrative. We’ve got to get ourselves as close to being number one in what we fund and invest in our students. Again, as I mentioned earlier, investing more in STEM education, CTE, and prepare our students for the jobs of tomorrow, and make sure all of our teachers are well trained to the new standards, so that we’re preparing students to be critical thinkers, not just students who memorize what’s on the test. Let’s go to one of those subgroups, the English learners. California has more English learners than any state in the nation, but only 9 percent were proficient on state tests. English learners have been receiving extra funds under LCFF, but the achievement gap persists with more than a quarter of all California students classified as English learners. What do you tell their parents about how you help their kids achieve? You know, it’s critically important, and I’ve started that work in this legislature because I have won money just this past year to support bilingual education, to hire more educators. I think we have to accelerate that. This year, I introduced the bill that focuses on dual language instruction in the early grades, so that we can continue to support our students. And then we have to also invest in how we do cross-curriculum learning, in that we can work with English learners on how they learn math. I attended an incredible training on how you can even do the arts, you know, to teach math and science. So, we’ve got to figure out ways to provide more support. But we’ve had a shortage, our teacher shortages in many areas including the number of bilingual educators that we have. I’m proud that we provided this $5 million this past year to increase the number of bilingual educators in the state, and this year my legislation will help to expand that so that we can continue our work to close the gap for our English learners. Let’s go to the lowest-performing schools. Parents at 300 to 400 schools are going to find, at their schools, they’re going to find that they’re on a list of the state’s lowest performers. What kind of assistance would you tell them they can actually witness at their school during the time their child is there? Well, I do think that they need more resources to support professional development of their teachers. I think one of the best ways to close the achievement gap is through rigorous professional development, making sure that there’s a teacher at the head of every class who is well prepared and well supported to support every student. You know, when I served on the school, I served on a school board during the time of the Race to the Top, you know, whole framework that President Obama laid out. He did identify lowest-performing schools in our district, and we did look for ways to provide more resources. We received more federal funds to support those schools, and I know that there will be the opportunity to provide those funds if we identify those schools. That has to happen. And we were able to get some flexibility in trying to provide more experienced teachers to support the students at those schools. But I’m open to all kinds of opportunities and ideas for how we support those schools. We need our best teachers, our strongest teachers, best training, best resources, community engagement, all working together to help students at those schools. I’m committed to doing that kind of work. Finances: The next four years could very well find school districts falling into bankruptcy because of pension and healthcare liabilities. What can you do as a superintendent to change that, and how would you prepare parents and teachers for what you can’t forestall? For starters, I support a legislation that allows school boards at school districts to keep more of their reserve to prepare for, you know, rainy days and for downturns. It was 3 percent before I came to the legislature. We’ve now increased that 10 percent. Clearly, we have to address the rise in costs that school districts face, and pension cost is one of those. Again, I’m using the campaign to address those issues, and I’m pulling together a group of educators and business leaders and government leaders and folks who are experts around pension issues to talk, to build a plan for how as superintendent I can work with county and local districts on the issue of how we fund pension liabilities. That will require everyone being involved in the conversation. We may have to have tough conversations, but that’s why I’m pulling in experts who have expertise around pension issues, so that we can manage these obligations and get past the point where all the money that districts is going just to either pensions or debt. I think part of that equation is we have to provide more to our schools in this year. I’m supporting legislation that would expand the base to provide more dollars, and I support also identifying long-term, permanent funding to help our schools address the costs, not just pensions but all the overall educational costs, the programs costs and the program needs as well. What is one innovative or transformative initiative that you would make sure gets done under your tenure? Well, we started with the AB 1014. It’s the grant that helps school districts address reducing chronic absenteeism. Since the recession in 2008, many school districts have had to cut their outreach staff who work on chronic absenteeism. So, that’s why I wrote this bill recognizing that this is a problem that we can fix, and that in many ways that can help to pay for itself, meaning the more work we do, the more success we have in reducing high absenteeism, we help our students but we help our districts at the same time. We give our districts more money they can use in their general fund to help fund student programs and educational programs. For most districts, a 1 percent increase … for many districts, I should have said, a 1 percent increase can mean something like at least a million dollars or more. So, I think we have to have creative programs like the reducing chronic absenteeism grant that I provided this year. I’ve introduced legislation that will give school districts more resources to support students directly at school. I understand that LA Unified has some 17,000 homeless kids. I don’t know how you learn when you’re homeless. We’ve got to figure out ways to support [them] by providing more housing support for these families and more resources directly at school. My goal is to provide more psychologists, more nurses, more social workers who work directly on school campuses. I think we need to have more school-based health centers to address the social issues that impact students’ experience. It doesn’t mean that the kids who are homeless or the kids who’ve experienced trauma can’t learn, because they can. I know that they can, because that’s been my experience and the experience of many other students who I’ve worked with. It means we have to provide more resources directly to those students. I’ll be looking to provide more innovation in how we support health and social programs, reducing chronic absenteeism. As I mentioned, the tax on private prisons is the first of its kind. The state spends $6 billion on companies that profit on incarceration, very little on early education. Without permanent funding towards early education, we need new revenue. So recognizing the nexus between criminalization and the lack of early education, we came up with this idea for this bill to tax private prisons and generate money for preschool and afterschool programs in the community. Same thing with the teacher housing bill, which can be used for teachers or classified staff. In order for us to maintain and close our teacher shortages, recognizing that in LA Unified that we’ve been talking with the staff in the district who let us know that they have not been able to build affordable housing and help retain teachers, quality teachers, because the federal funding that supports these programs doesn’t support a workforce, people who are in the middle, as they call it in the housing world. So, my legislation would bring innovation to give money to school districts who take the surplus property and build affordable housing that will support teachers and classified staff who to this point have not been able to be supported by the existing housing programs. And then talking about the innovation around STEM. You know, the president of this country backed $200 million for STEM for the whole country. My bill this year is asking for $200 million just for the state of California to expand STEM education, teacher professional development opportunities, and access to computer science. A million and a half jobs in technology have been projected over the next few years and we will only have half the applicants for those jobs, unless we provide critical resources and rethink how we educate our kids and make sure we have more computer science and the funding necessary to provide more equipment to our kids. So, that’s why I’ve introduced this bill that would provide more professional development in computer science, more materials, instructional materials, more educators in the space of technology. What’s one innovation you see happening in California or another state that you would amplify at schools statewide? I think there’s a lot of innovation in how we support our English learners. I just think it has been underfunded for a long time. I think that the investment is showing results. I think that the framework for the Local Control Funding Formula, you know, prioritizing students from disadvantaged backgrounds have more equity in the framework — that has been a powerful one. Even though I think we still have challenges, I don’t think they give us enough of the funding that we need and certainly being 46th in the nation in per-pupil funding is not enough, but the frameworks that equity is critical and when you look at what’s happening in other states where the teachers who go out on strike are also saying that these school systems have completely defunded education in those states. I think we’ve got a lot of work to do here, but I think we have a framework that prioritizes equity, and we have an opportunity to build upon it. I would expand that, expand equity, and at the same time expand rigor. I think we’ve gotten very creative in how we teach math and math concepts. I think that we have to expand rigor for all of our students, so that we create stronger college and career pathways for all of our students. Prepare them all to the able to go to college, but make sure every student knows about internships and apprenticeship training, and working in the trades, and vocational education, and that there are opportunities for college and career pathways. Should parents have a vote in school-related contracts that are negotiated by the state and by school districts? I certainly think that parents should have a voice in those conversations. I’m not familiar exactly with any frameworks where individual parents have voted on contracts. In that respect, I may be limited by my experience, having been a board member. The only way I’ve ever seen it done was board members go in a closed session and make recommended some districts staff and attorneys who were working and negotiating with union representatives. I’d like to learn more about any examples of that you’re aware of, but I certainly think that parents should have input and oversight in every decision that districts make. None of the candidates has run a large school system. How does your experience prepare you to be state superintendent, and how are you schooling yourself right now to make up for those gaps? Well, it depends on how you look at the position. Superintendent of Public Instruction doesn’t have direct responsibility over any school district. But more importantly, has to maintain a relationship with the legislature and the governor to get resources for districts and work with the 58 county superintendents. So, as a legislator, I have a track record of working with 120 legislators in our state and working with our governor. I have a track record of getting things done through the budget process for the state that benefits the school districts. I’ve been able to get more money for our school districts that address issues about how we implement LCAPS. I’ve been able to get a billion dollars for supporting Medi-Cal health care programs, many of which will touch our schools through school-based health centers. I’ve been able to get $300 million passed to support people who have developmental disabilities, many of our youngest Californians who have a developmental disability. So, I’ve demonstrated a track record of getting things done, getting legislation passed to expand the screening of the reduced lunch program, that expands it by 400,000 California students now. So, I believe that Superintendent of Public Instruction has to be the chief spokesperson for education, has to push back on federal government when they cut California’s budget, and continue to protect California and work with our congressional delegation, work with our state legislators and our governor to get resources for our districts. I’m honored that I’m endorsed by more than 20 of the county superintendents who I’ve built a relationship with and have been working with throughout this campaign. I’ll continue to do that as Superintendent of Public Instruction, and obviously work closely with the State Board of Education and work closely with educational groups and educational coalitions. You know, I call upon 11 years of elected experience, including having served as the school board member with responsibility for an over $400 million budget as a school board member, and over $300 million as a city council member. I’ll call on all of those experiences to help me continue to manage the public dollars, to manage public trust, and to continue to advocate for serving our students, as well as having served as an instructor and teacher of students who were in the criminal justice system in a high school class and civics class, of high school students who were in the county juvenile camp. I’ve been a social work instructor. I’ve taught career training and life skills in our schools, and I’ve been an advocate, and I’ll continue to be all those things in working closely with districts throughout the state. If elected, you may work with a governor whose goals or political backers clash with yours. Which of your top goals would you fight for the hardest, and what are your own best strategies for compromise and collaboration? Well, I feel confident that I can work with anyone who would become governor. I’ve worked with all the gubernatorial candidates on the Democratic side. I’ve worked with them either in the legislature or in some other capacity. I feel confident in my ability to do that. I think the key compromise is keeping a dialogue going and recognizing that you may not always agree with someone, but you’ve got to look for ways to get two or three things done that are in the best interest of the students. My approach in 11 years of being in elected government, I’ve always looked at things, viewed things in a way that make my kids proud, make all our kids proud. If it doesn’t, it’s not something that I can support. The bottom line is what we do has to be in the best interest of kids. I think people measure anything that I support: Is it in the best interest of our students? I’m confident in my ability to work with our governors, because a governor who will set the tone for whether or not we finally get the universal preschool program. I would say that among my top priorities in working with the governor and the legislature will be getting a universal preschool program, increasing our per-pupil funding, closing our teacher shortage, and dealing with the achievement gap, and making sure that we are the best in education to prepare our students for the jobs of tomorrow. I would call upon the relationships I’ve built with the existing legislature and the governors to do that. I know that this is not easy work. Not everyone is going to be in agreement on what strategies that we should approach for our kids. But what I refuse to accept that we cannot help every student be successful regardless of their circumstances. I believe that public education is key to our society and making sure everyone has a chance to get an education. I’m willing to work for all of our 6 million students and their families to make sure that they get a great education, and I look forward to the opportunity to serve the people of California in this new way. People always ask me why I would do this. I tell them, this was not a political decision for me. This was a heart decision. This was a recognition that education saved my life, and that every kid deserves an opportunity, and I know from my own experience that if I can make it, all black kids can make it, but we have to make tough choices, fight hard for them. I appreciate the time you gave me today.